HomeAviation and Aircraft VideosLEARNING TO FLY! – My First Tailwheel Lesson in a 1940 J3 Cub! 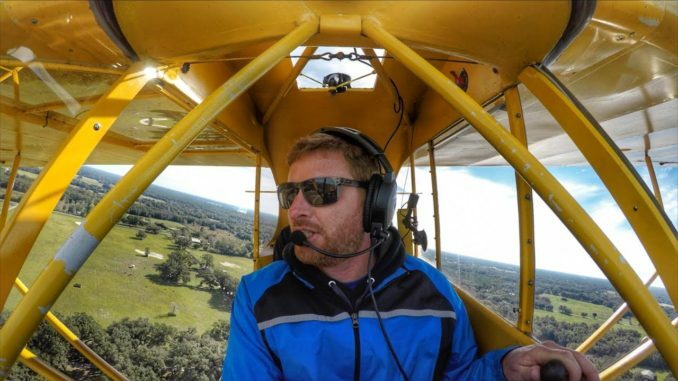 Steveo 1 Kinevo shares his first flight lesson in a tailwheel 1940 J3 Cub. This was interesting to me, your Wings Over Kansas editor, because the J3 Cub was the first flight experience I had at Riverside Airport in Wichita, Kansas. It was on that that Summer weekend in May of 1956 that I was first introduced to aerobatic flying, We did a Chandelle, a Cuban Eight, a Hammerhead; Stall Turn as well as several other exciting adventures in the sky. A day long-remembered.